Qatar often gets a bad rap for its city planning, or lack thereof. While coordination on the development front may need improvement, one thing that has clearly been given a lot of thought is how places and groups are named here. Most country’s districts, for example, reflect geographic traits and characteristics known to the tribes who have lived and moved around in the area for decades. In an effort to better understand the naming of some of Qatar’s oldest areas, the Centre for Geographic Information Systems (CGIS), which is affiliated with the Ministry of Municipality and Urban Planning (MMUP), launched a project in 1996 to survey and officially document geographic names. Its findings were included in a national database, but that service is only provided in Arabic for now. The CGIS’s nationwide research project included on-site visits, interviews with Bedouin herdsmen and meetings with municipal officials to confirm the accurate historical names of the different districts of Qatar. Speaking to Doha News, an official at the CGIS said that Qatar is home to 755 districts and eight municipalities, each with its own distinct name. Qatar’s capital and main municipality literally means “roundness” in Arabic. 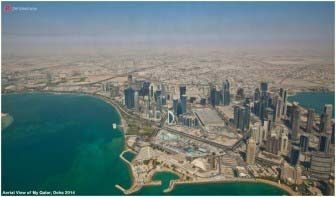 The name “Doha” signifies the “rounded bays” that characterize most of Qatar’s coastline. Another large municipality, Al Rayyan is home to Education City. The Arabic word “Rayyan” is derived from the word “Ray,” meaning “irrigation.” Because the area consists of a low-lying ground, it is considered a flood plain. Due to the constant supply of water in the fertile region, the area was home to a large number of plants. Even today, when it rains, the streets of Al Rayyan area often become flooded with water. Almost two weeks ago, over 2.5 million gallons of water were sucked from the district’s streets after a day or two of heavy rain, according to Qatar News Agency. This is a suburb located in the south of Doha. The Arabic word “waab” in its literal sense means “a vast area or place that accommodates things,” according to CGIS. The geographic name is derived from the fact that the suburb consists of a large, fertile plain where small shrubs and plants amply grow. These Ghulan shrubs produce scale-like leaves and solitary flowers that bloom from September to November. The plant is most common in sandy habitats that are exposed to winds and erosion. They are also grazed on by camels. Several large rock formations used to exist in the area. It also consisted of several farms owned by Sheikh Ali Bin Jassim, son of Qatar’s founder Sheikh Jassim bin Mohammed Al Thani, who is credited with unifying the tribes of Qatar. Sheikh Ali was the namesake of Umm Slal Ali, because he owned a large sector of the area. Today, this district has been growing in population and is now considered to be one of Qatar’s important and well-known cities. This is an industrial city in western Qatar, widely used for oil and gas exploration. The Arabic word “Dukhan” means “smoke” in English. Its name is derived from the dust-laden clouds that resemble smoke from afar, that cover the city. This district, commonly known for its camel racetrack, was added as one of Qatar’s municipalities last year, bringing the number up to eight municipalities, according to a CGIS official. The Arabic word “shahaniya” is a derivative of the word “sheeh,” the local name of a plant that used to grow abundantly in the district. The plant, which is known for its anti-inflammatory properties, is now very rare in Qatar, where it is cultivated in light soil. Flowering takes place in May and June. Sheeh is very common in the Middle East and North Africa. Since the city, home of the beautiful Purple Island and some of Qatar’s mangroves, is situated near a bay, it is called Al Khor (formerly Khor Al Shaqiq). The most commonly known bays in Qatar are Al Khor and Khor Al Edaid. This is a historic town located northwest of Qatar in Madinat Ash-Shamal municipality. The Arabic word “Zubara” means mounds of sand piled up by the wind. These mounds of sand are what protected the remains of the town, when it was destroyed in the 1811. The town is now considered to be an archaeological site. It was known for pearl fishing and trading in the 18th and early 19th centuries. It’s also home to a historic Qatari military fortress that was built in 1938, which has now been turned into a museum . It is open to the public daily except on Fridays and Saturdays, and entrance is free of charge. The plant is widely distributed in the coastal and eastern region of Qatar, and grows abundantly in this area. 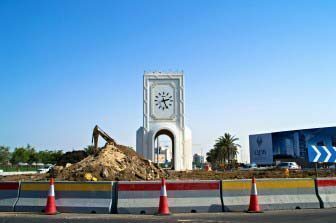 The area is one of Doha’s most congested districts, and has seen several changes in the past few years, namely due to Doha Metro construction. The citizens living there said that a hill where many birds nested used to exist in the area, according to CGIS. Today, Al Wakrah municipality has become one of Qatar’s significant areas. The geographic name is derived from the Arabic word “Mathrr,” which refers to a small meadow where Bedouins kept their animals away from their houses. The small meadow accompanies a larger one, and usually derives its name from it. So, the district was called Muaither. The Arabic word “abu” means “father” in English, also used like the word mother to describe an area that has specific geographic features and traits. Here, the word “Dhalouf,” which is a derivative of the Arabic word “dhulfa,” means the arch-shaped ends of the saddle used for riding camels. The area consists of a saddle-shaped hill from which Abu Dahlouf region derives its geographic name. 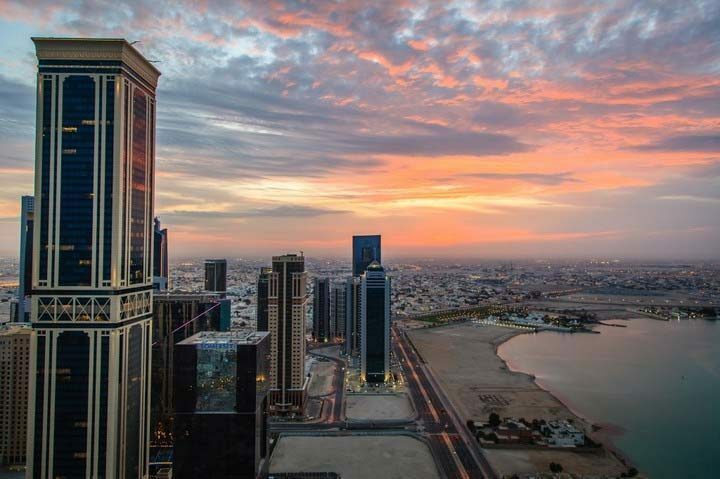 As Qatar continues to grow, another MMUP-affiliated committee now oversees the “naming of areas and neighborhoods, streets and fields” in the country. The committee, which was established in 2003, presents its suggestions to the Central Municipal Council (CMC), which then submits them with any changes to the Minister of Municipality and Urban Planning, who makes the final decision on the matter. Two representatives of the private sector, as chosen by the MMUP minister. Aside from geographic locations, Qatar government officials have carefully chosen the names of its police and internal security forces (ISF), to reflect a positive image in the minds of the public. The term used for police in most Arab countries is “shorta.” However, in Qatar some police are called “Al Fazaa,” which in Khaleeji dialect means, “to quickly help and support anyone in need,” and which indicates “chivalry and gallantry,” according to the Ministry of Interior’s (MOI) official website. “That’s why the Ministry of Interior chose this name as an equivalent to the police department that performs security and humanitarian duties around the clock to serve society and its individuals,” MOI added. Meanwhile, the term “ISF” often sparks fear among residents under some autocratic regimes. But in Qatar, this force is called “Lekhwiya,” which citizens of Gulf countries say means “brother” in their dialect. Lekhwiya was established in 2003 and reports directly to Qatar’s Emir, Sheikh Tamim bin Hamad Al Thani. Its responsibilities include standing against attacks, monitoring illegal immigration, dispersing riots, illegal gatherings and protests, and securing the processions of the royal family, the state’s guests and other senior officials. So, what’s in a name? A lot it seems, in a country like Qatar. Thoughts?